I just finished up my Ice Pops quilt this week. You can see more about the pattern in this blog post. I'm very happy with how this one turned out - especially because my husband really likes it and he is just a tiiiiiny bit picky. 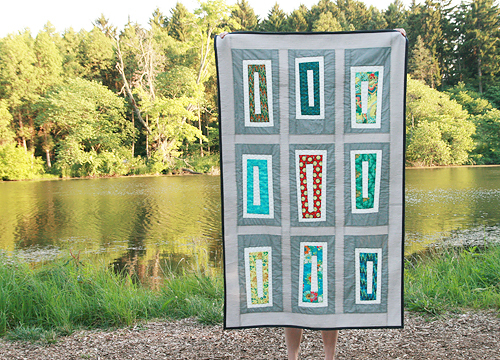 The print fabric in this quilt is from Art Gallery's Rhapsodia line. The light putty sashing is FreeSpirit Designer Solid Sand Dune and I never did figure out the dark putty color. That's what I get for not labeling the fabric when it arrives! 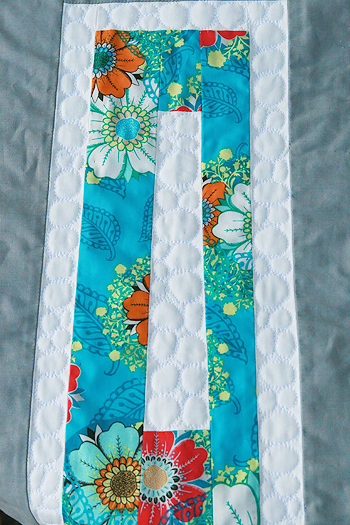 I quilted this one in a couple of ways. First, I pebble quilted all the white areas. As usual I way underestimated the amount of time this technique takes. But I am really happy with the results - it was worth the time. 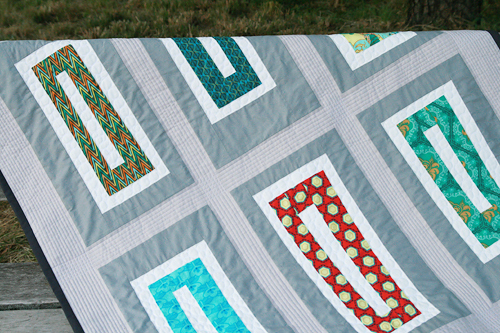 After I took these photos I washed the quilt and the pebble quilting looks SO great after a wash, I am very tempted to do an entire quilt this way. I'm sure I'll be exhausted while I am doing the actual quilting...but boy would it make an amazing quilt. 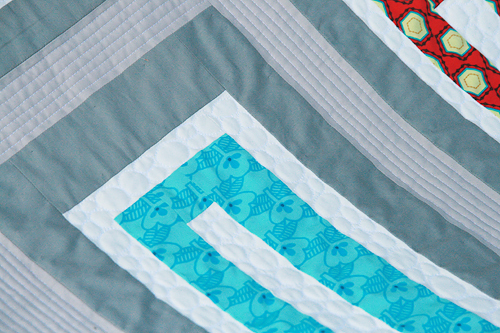 Then in the lighter putty sashing I straight-line quilted lines 1/4" apart. 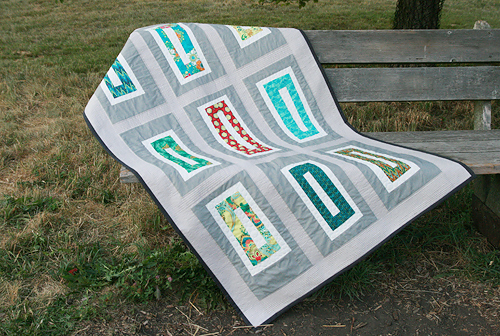 I don't often mix two types of quilting but I am happy I did with this quilt. I am heading out of town on Saturday for a few days...I'm bringing my computer but not sure if I will be blogging. If not, I hope everyone here in the USA has a wonderful 4th of July holiday!